More than 3.4 million Lyme tests are performed across the United States each year, according to the CDC. The announcement spread quickly through the Web to Lyme disease patients across the United States. A small private lab had made an exciting breakthrough, the e-mail said, developing a surefire way to identify the debilitating disease in people. To throngs of sick people in New England, where Lyme disease has become a major health concern, the note offered hope that finally, they would have proof that their chronic health problems were caused by Lyme disease. Two years later, Advanced Laboratory Services has conducted more than 4,200 Lyme tests, but the Pennsylvania company’s methods are being scrutinized by scientists and regulators. New York banned the test because there is no proof it works, and the state’s inspectors uncovered “broad substandard” lab practices. A federal scientist has raised contamination concerns. Advanced Laboratory’s path underscores the often unregulated and confusing world of Lyme testing. It and other companies take advantage of an exemption in US Food and Drug Administration regulations that frees them from having to prove that their tests correctly diagnose the disease, leaving patients and doctors to decide for themselves which ones are legitimate. Many sick people who test negative on conventional tests turn to these tests, eager to name what they have in hopes of ridding their body of persistent symptoms ranging from muscle pain to memory loss. They may as a result be unwittingly pushed toward unnecessary and unproven treatments. Officials at Advanced Laboratory Services, housed in a worn office park outside Philadelphia, twice canceled visits by a Globe reporter but eventually responded to written questions. They said that their culture test, which attempts to grow the Lyme bacteria from a patient’s blood, does work, that they performed internal validation studies, and that independent reviews are being conducted and should be ready within six months. More than 3.4 million Lyme tests are performed across the United States each year, according to the CDC. The vast majority use an FDA-approved method that attempts to identify the disease by looking in patients’ blood for antibodies, proteins that the immune system creates to target and destroy the invading bacteria. But antibody tests are imperfect: Patients can test negative soon after being infected, before their body produces many antibodies, or test positive long after Lyme is gone from their body. So a cottage industry of Lyme testing companies, which claim to more accurately diagnose the disease, has sprung up. Thousands of people spend millions of dollars each year on these tests, which most insurance companies will not cover. Advanced Laboratory’s test, for example, costs $595 to $1,020, depending on which type is performed, according to the company’s website. 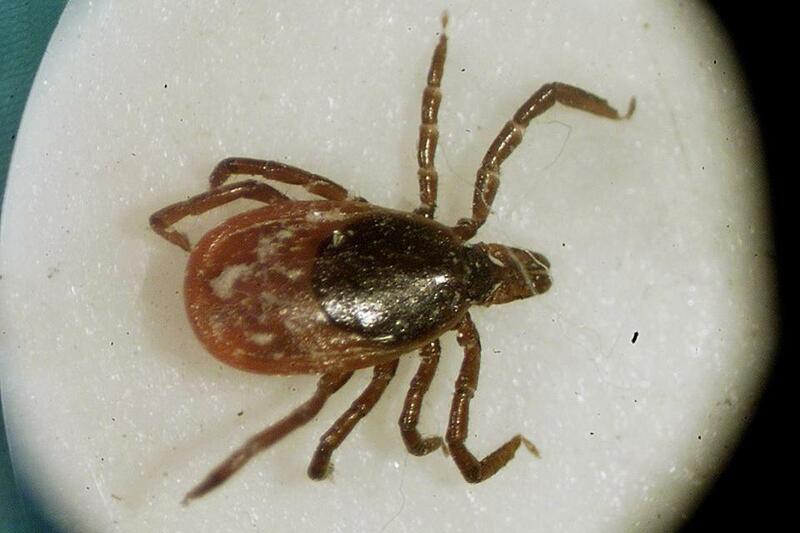 Researchers are accelerating work on a new generation of tests, an effort made more urgent with the CDC’s recent tenfold increase in the estimate of Lyme illnesses. It now places the number of new cases each year at more than 300,000, most of them in the Northeast. But these new technologies are probably still years from market. “We need a test that works that is accepted by everyone,” said David Roth, cochairman of the Tick Borne Disease Alliance, a Lyme advocacy group raising money to support research. As labs like Advanced Laboratory Services work to prove the validity of their tests, others have not been so scrupulous. More than a decade ago, a Connecticut doctor promoted a method that used Detroit tap water to help grow Lyme bacteria from patients’ blood. The method could not be replicated. Other labs or their executives have been prosecuted. A Florida lab was ordered by a Kansas judge to pay $30 million to two Kansas couples in 2009 for its part in falsely diagnosing them with Lyme disease, although they have been unable to collect thus far. In 2010, a California man pleaded guilty to federal charges that he and his codefendants made more than $400,000 selling a microscope that they claimed could be used to diagnose Lyme disease and offering a drug treatment plan that they said could cure it. The drugs, which included a heavy metal known to cause kidney failure, caused one person to die and another to experience renal failure, according to the US Department of Justice. Still, some Lyme testing labs — along with many others — operate largely free from government oversight. That is because in the mid-1970s, the FDA began exempting certain diagnostic tests from its approval process. Many of these tests — developed, manufactured, and offered by a single lab, such as in a hospital — were variations on common tests, low-risk, or devised for rare diseases and could not be adequately validated. But companies are using this exemption to market thousands of these so-called lab development tests — for everything from cancer to genetic markers of disease — and many have not been rigorously validated. The labs do not market these tests directly to the public; doing so would trigger stricter FDA review. Instead doctors order the tests for patients. The FDA is trying to regulate these tests, but clinical laboratories are vigorously opposed, saying it would be too expensive, take years to get the agency’s approval, and stifle innovation. Although labs have to undergo certification to ensure they have the right expertise and use proper procedures, “no one is actually looking if there is validity to the clinician claims [these labs] are making,” said Alberto Gutierrez, director of the Office of In Vitro Diagnostics in the FDA’s Center for Devices and Radiological Health. Several Lyme laboratories said they stood by their tests, but the process to get FDA approval was too cumbersome. “You need a ton of documentation,’’ time, and money, said Jyotsna S. Shah, vice president of IGeneX Inc., a Palo Alto, Calif., lab that performs more than 25,000 Lyme tests a year for hundreds of dollars each. Tests can be crucial for diagnosing Lyme. A bull’s-eye skin rash is a telltale sign of the disease, but not everyone gets a rash or notices it. The standard CDC-recommended method first looks for increased antibodies in the blood that react to the Lyme bacteria. But because someone can test positive and not have the disease, a second test called a Western Blot is performed to more accurately identify antibodies specific to the Lyme bacteria. Different labs interpret the results of this test differently, however. IGeneX, for example, identifies someone as Lyme-positive based on a Western Blot far more liberally than the CDC does. Diagnostic tests must walk a fine line between sensitivity — the ability to accurately identify everyone who has a disease — and specificity, the ability to accurately exclude people who do not. It can be hard to design a test that is good at both. The CDC’s method is highly specific but not that sensitive, meaning it probably misses significant numbers of people sick with Lyme, according to Lyme activists. In contrast, government and academic scientists contend that the IGeneX method is highly sensitive but not adequately specific, meaning it probably returns positive readings for many people without Lyme. Sitting in a small conference room in a nondescript building near Stanford University, Shah said IGeneX’s testing is backed up by solid science and that the company has been open about its methods. She pointed to two papers on its methods, a 2007 paper published in an alternative medicine newsletter and a 2010 paper in a journal that appears to be defunct. Neither publication is widely read or cited by other scientists. Jenna Smith of Paris, Maine, who writes a Lyme blog, heard about Advanced Laboratory’s test last year while watching an online video of a talk that Burrascano gave. Smith came down with what she thought was the flu in 2006 and never seemed to recover. A crippling fatigue overtook her, along with memory loss and extreme sensitivity to light and sound. She did not know what was ailing her and sought answers from doctors across the Northeast. Some were convinced that she had Lyme, but she tested negative using traditional tests. She kept looking for an answer. “When you have an illness with no name, and no cure, you look for a test,’’ Smith said. She paid $900 for the Advanced Laboratory test. The result was positive and Smith is now getting antibiotics and other treatments. For the first time in years, she said she feels well enough to drive. Smith is aware of the controversy about the test but believes validation studies will prove the lab’s methodology is sound. She said she trusts Burrascano’s word. Burrascano said in an e-mail that he had served as a consultant to Advanced Laboratories through Apogenics, a consulting company that was hired to help the lab commercialize the culture test. I “want to be clear that I have recommended the test as a physician and not as a consultant to the lab,’’ wrote Burrascano, noting he does not receive any direct compensation from Advanced Laboratory and does not get any bonuses, commissions, or incentive pay from Apogenics beyond a flat fee. The lab says on its website that it can culture the corkscrew-shaped bacteria that cause Lyme, a method seen as the gold standard to diagnose bacterial infection. But some scientists were perplexed when the lab first began marketing the test and claimed it could identify the disease in 94 percent of patients who had it. That rate was about five times higher than other scientists have been able to achieve through culturing of blood serum, according to Barbara Johnson, a Lyme researcher with the CDC. The first indication that the test might have problems came from health officials in New York who rigorously review laboratory development tests before they can be offered there. In a visit to the Pennsylvania lab in February 2012, inspectors flagged numerous concerns, including the lack of evidence that the lab had validated the test’s accuracy. In addition, the bacteriology director was “unable to answer questions about the [Lyme bacteria] culture method,’’ said a letter written to the lab in April 2012 by the New York state Department of Health. The four-page letter concluded, “Additionally, due to the depth of the department’s concerns,” the state’s findings would be shared with the FDA, the Pennsylvania Department of Health, and another federal agency. This year, Johnson, the CDC investigator, evaluated Advanced Laboratory’s methodology, relying on a paper in a low-profile journal that was written by a consultant to the company. “If it was valid, it would be scientifically important,’’ said Johnson, the CDC researcher. Her study concluded that the lab’s results were possibly due to contamination. The majority of its patient samples contained gene sequences identical to a Japanese Lyme bacteria strain used to develop the test and not known to live in North America, which she said suggests the results were false positives. The company declined to comment on the CDC review, saying a response was being prepared.